With so much original music around, any tribute show needs to be different and special to raise an eyebrow above the mediocrity that often portrays this type of performance. Of course The Kennedys and Edwina Hayes are highly respected artists in their own right as well as possessing the perfect credentials to expertly interpret the songs of the legendary Nanci Griffith. 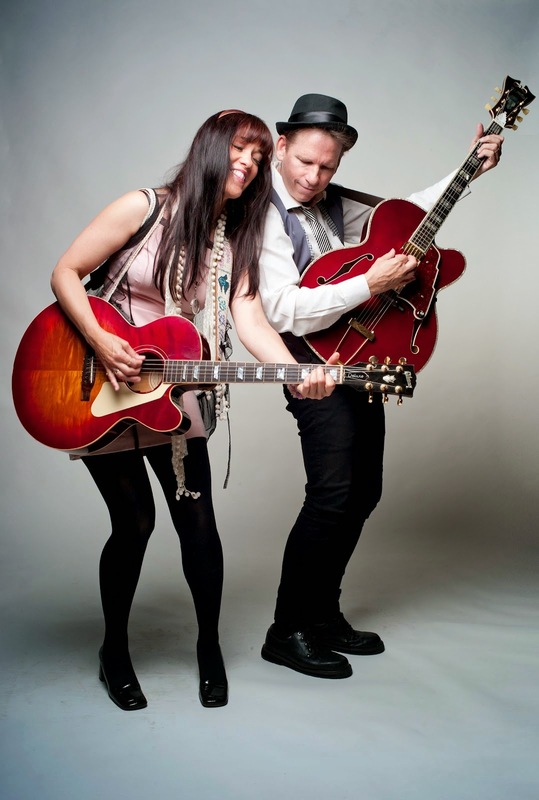 There was an extra buzz about a sold out Kitchen Garden Café this evening as Pete and Maura Kennedy returned to a venue where they went down so well around a year ago. At the end of the evening, it was immaterial whether the audience were primarily fans of Nanci Griffiths, The Kennedys, or both, as a rapturous applause greeted two excellent sets by the duo. The relationship between The Kennedys and Nanci goes back over 20 years, albeit on an irregular basis, although they are now in a period of being the cornerstone of her backing band. With Nanci taking a brief hiatus from touring and recording, Maura and Pete saw an opportunity to develop their own fan base in the UK by paying respects to an icon of Texas flavoured country/folk music. Edwina Hayes is more East Riding than East Texas but her pristine vocals have caught the ear of Nanci who decorated the Roses songbird as the ‘sweetest voice in England’. 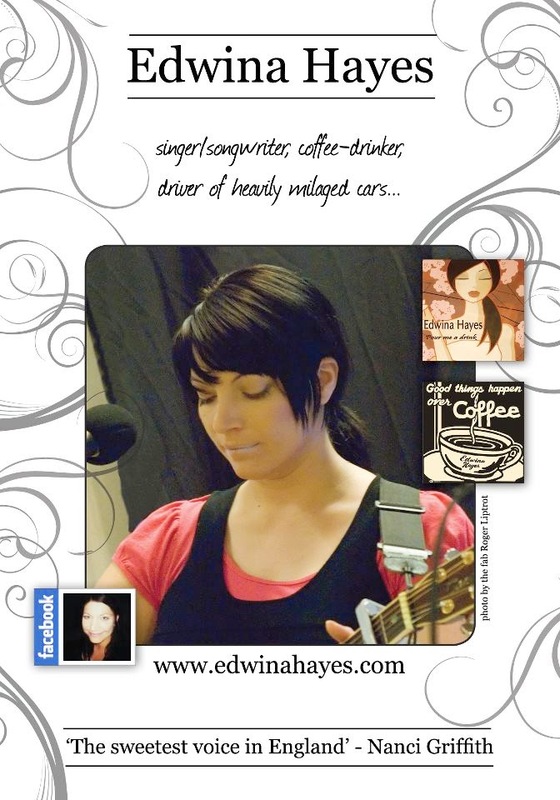 Edwina subsequently penned a beautiful ballad ‘Pour Me a Drink’ which Nanci cut on her 2009 album THE LOVING KIND. The version sung this evening was nestled amongst a collection of classics and did not sound a note out of place. Prior to Edwina joining Maura and Pete for an exalted set of finesse-laced three part harmonies, the New York based duo demonstrated their own advancement with a UK audience by playing a near all-request 30 minute opening slot. Alongside favourites such as ‘9th Street Billy’ and ‘Rhyme and Reason’, the duo previewed a track from Pete’s new guitar instrumental record, of which he elected to showcase the Jerry Reed tune ‘The Mad Russian’. While Pete’s breathless guitar playing talent was the highlight of last year’s Kennedys show, they tended to take more of a backseat on this occasion as the evening progressed with the charismatic charm and elegant vocals of Maura being the defining aspect of their stage presence. After opening the main set with two Griffiths’ classics ‘Lone Star State of Mind’ and ‘Gulf Coast Highway’, two became three in the harmony stakes as Edwina joined the duo, although Pete tended to come more to the fore with the cutting guitar interludes. 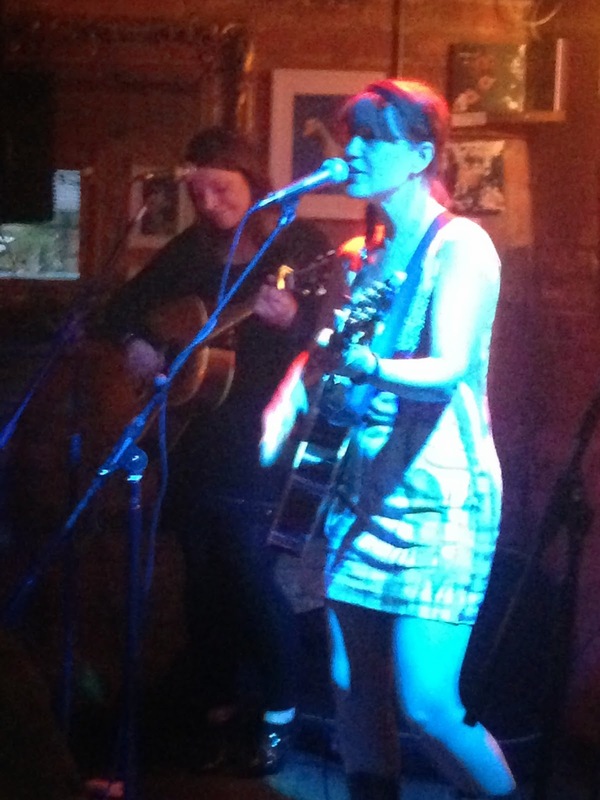 Edwina and Maura regularly swapped lead vocals as the audience had an insight to working with Nanci and to the background of some of the songs. With such outstanding versions being delivered of old favourites like ‘From a Distance’, ‘Listen to the Radio’ and ‘Trouble in the Fields’, they were a timely reminder of what great songs Nanci and her fellow collaborators have produced in the past. The evening ended on a special note for Maura as her own co-write with Nanci, ‘Hell No (I’m Not Alright)’, invited a polite but enthusiastic bout of audience participation. Along with Edwina leading the way with her writing contribution number, another major highlight was the tale Maura told of Nanci finally having the courage to sing ‘There’s a Light Beyond These Woods (Mary Margaret)’ on stage in New York following the death of her close friend featured in the song. Maura’s rendition was no less emotional but just eclipsed by the fabulous ‘Love at the Five and Dime’, a great Griffiths write almost taken to the top of the country charts by Kathy Mattea, as the night’s standout moment. This was the final show of a twelve date tour, after which both Edwina Hayes and The Kennedys will go back to cultivating their own careers. However for just one night, a Birmingham audience was submerged in the next best thing to Nanci Griffiths returning to one of the city’s main venues.